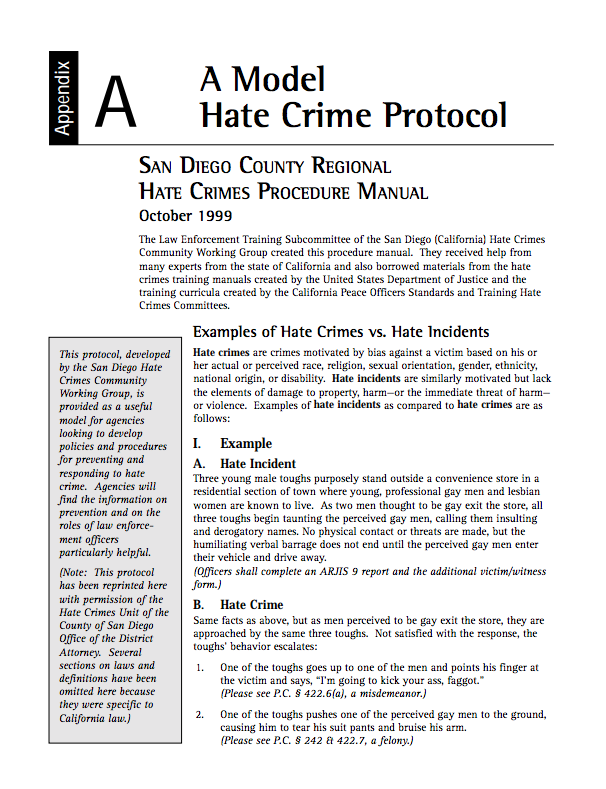 This protocol, developed by the San Diego Hate Crimes Community Working Group, is a useful model for agencies looking to develop policies and procedures for preventing and responding to hate crime. In this manual, agencies can find information on prevention and the role of law enforcement officers. This PDF comes from the "Responding to Hate Crime: A Multidisciplinary Curriculum for Law Enforcement and Victim Assistance Professionals," through ncjrs.gov.